Admin's Note: This is an archive article that has been moved over from our old site. Author and photographer credits are unknown. VC SAR divers were allowed the opportunity to practice diving a submerged vehicle in the Port Hueneme Harbor. This experience enlightened members (under controlled circumstances) to potential hazards present in confined overhead environments such as those created by automobiles underwater. Team member Larry Fuller set up this training scenario with the help of T&T Truck & Crane Service, Oxnard Towing and the Port Hueneme Harbormaster. If the vehicle you are riding in ever ends up in the water, follow the procedures below (taken from the Michigan State Police S.T.A.R. project) for the best chance of survival. 3. Exit the vehicle (before it sinks). T&T Truck & Crane Service donated a crane and two operators to the Ventura County Sheriff's SAR Dive Team for the morning, enabling the team to conduct this important training session. Oxnard Towing played an instrumental role by providing a clean car to submerge and donating towing services to and away from the harbor. Without the assistance of these two companies, this training could not have occurred. The Port Hueneme Harbormaster was on hand to make sure all went as planned. Dock Foreman Paul Thomas from T&T Truck and Crane Service directed the crane operations as the car was lowered into the harbor. 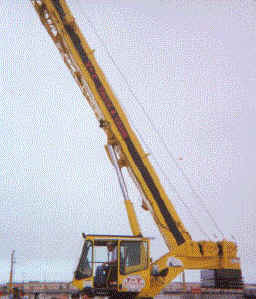 Both Paul and crane operator Raymond Mullins did a very professional job with the heavy equipment, submerging the car in the harbor and lifting it back out after the training was completed. After the car was fully submerged and settled on the bottom, divers entered the water. Teams of two were rotated through two different stations. First, a team did a straight-line search under the dock. When that exercise was finished, they surfaced and proceed on to the vehicle station. Teams held position at the ascending/descending line until the team ahead had completed their dive. Underwater, divers conducted a survey around the car, then took turns entering the vehicle while a buddy stood by outside for safety. Inside the car, divers got the feel for how they would deal with seat belts trapping a victim and how a victim could be removed from this type of environment. Tools and techniques for breaking windows were also presented. We treat all vehicles in the water as crime scenes. We would located where the vehicle entered the water and treat that area as a crime scene. 1. Swim around and note any damage or other interesting things. Also get the license plate number if you can or take the plate to the surface. Check for stolen, NCIC information. Identify the registered owner and attempt to contact them. Send a Police Officer by the registered owners home to gain information. Information gained in this step should help you identify how you are to proceed with the recovery. 2. Bottom search for minimum of 10 feet around the vehicle, more if deemed necessary. 3. Take measurements of the scene for your diagram, including the four corners of the vehicle. Photographs/video if vis will allow. 4. Recover the vehicle by either lift bags (less damaging to vehicle and evidence) or wrecker hook and pull. 5. Once on land let Crime Scene Technicians take over the processing. 6. Depending our how your Team is set up, assist investigating officers in the investigation or clean up, write your report and go home. That's the short version, depending on the situation it could be more involved. General Rules of Evidence: Nothing in the underwater or topside scene is touched, disturbed, or moved until documented with photographs, video, measurements, and sketches, with accompanying notes and reports as necessary. Photographs, video, and sketches need a scale reference. Each incident will be preserved and processed as a crime scene during the entire operation, or until the requesting law enforcement agency determines otherwise. Risk Benefit Factor: The benefits of the evidence and recovery operation is balanced against the risk of the dive operation to determine if the operation is performed. Usual hazards include petroleum products in the water, entanglements from the vehicle, fishing lines, debris, unstable vehicle positioning, black water visibility, contaminated water, wildlife, and currents. 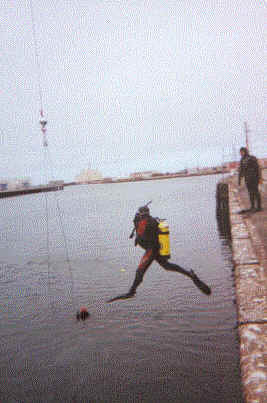 Since each operation is unique, a risk benefit factor is performed at each scene to determine if divers will enter the water. Information obtained in the initial briefing from the requesting law enforcement agency is also included in the risk benefit factor. 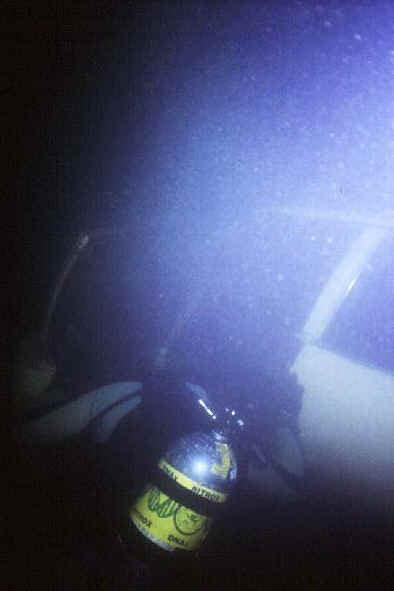 Initial Survey: If the risk benefit factor is in favor of a dive operation, an initial dive is performed by a minimum of two divers to determine the position and condition of the vehicle, the number of victims and location of victims in the immediate vicinity, and the overall condition and positioning of the underwater scene. While following the general rules of evidence, divers survey the scene and report their findings topside to help plan the evidence and recovery operation. Evidence Collection and Documentation: Each diver will have a specific assignment during the evidence collection phase of the operation. Assignments will be determined by the on scene commander according to the skill level of the diver, special qualifications, equipment, and needs of the operation. Each part of the vehicle will be examined underwater to determine; the identity of the vehicle, the existence of damage and potential evidence, the location and positioning of victims, and the positioning of vehicle mechanical and electrical functions. Before the recovery phase of the operation can begin, the underwater phase of the evidence collection must be complete. Evidence that cannot be recovered until the vehicle is moved, must be documented in place by photographs and sketches. Each diver will report his or her findings and deliver collected evidence to topside personnel for collection and documentation. The divers will note the location and recovery depth of each item of evidence. Evidence will be collected in compliance with Standard Operating Procedures established by SMART for the processing and handling of evidence. Articles, papers, and effects which are, or possibly related, to the incident being investigated. Vehicle parts and accessories which have detached from the vehicle. Articles, papers, and effects inside the vehicle which may be lost when the vehicle is recovered. Articles related to the investigated incident which were found with the use of a metal detector. 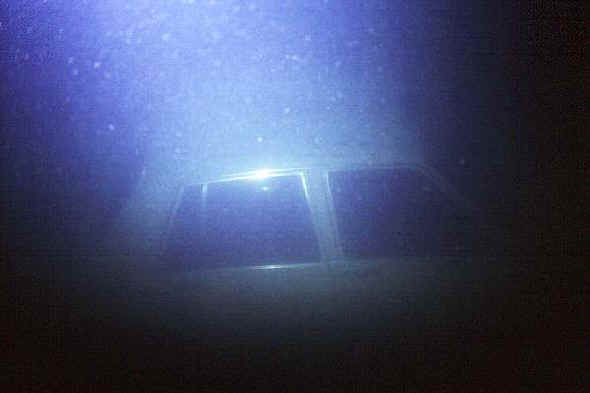 Photographs of underwater scene, recovered persons, recovered vehicle, and related items. Measurements of underwater scene, vehicle positioning with reference points, recovered persons, with associated GPS coordinates if possible. NOTE: Glove compartments, consoles, trunks, camper shells, and other closed areas of the vehicle should not be entered during the underwater evidence collection and documentation operation unless there is a substantial risk of loosing evidence during the recovery operation. Complete damage survey. This includes all sides, roof, undercarriage, wheels, windows, and accessories that are accessible from the vehicle exterior. Vehicle identification: This includes recording the license plate, color,model, and other vehicle identifiers to assist law enforcement with the initial on scene investigation. Positioning of mechanical devices. This includes the positioning of doors, wheels, windows, trunk, hood, sun roof, tailgate, rear sliding window, and other mechanical devices on the vehicle exterior. Positioning of victims. This will include the location and position of victim(s) inside the vehicle, and if seat belts were in use. After the underwater evidence collection and documentation has concluded, the recovery operation may begin. Recovery divers will coordinate with the on scene commander and the wrecker service to insure that the vehicle recovery operation minimizes damage to the vehicle and preserves any further potential evidence which could not be collected underwater. The Vehicle should be removed in the upright position with the tow hooks attached to the rear axle(s). The windows are open and the door closed to the first click to prevent the water pressure from breaking out windows. When the vehicle has been safely removed from the water evidence collection continues, including the opening of closed compartments and taking additional photographs. In all cases, the safety of SMART Divers and topside personnel is of the greatest importance. These Standard Operating Procedures may be adjusted to insure a safe operation. One further thing to consider when removing a vehicle, especially one that is being lifted out of the water back end first. You must open the doors to the first click to allow water to escape out of the bottom of the doors. If you don't there is a strong possibility the weight of the water will blow out the front windshield during the lift and wash out potential evidence. This is one of the reasons we do penetrate the vehicle before the recovery, to gather and preserve evidence before it is removed or potentially washed away. Paper product can easily wash away with the doors partially open. Nothing is more embarrassing than to remove a vehicle from the water and then see all kinds of papers and potential evidence floating at the surface. This is evidence that needed to be recovered before the lift.